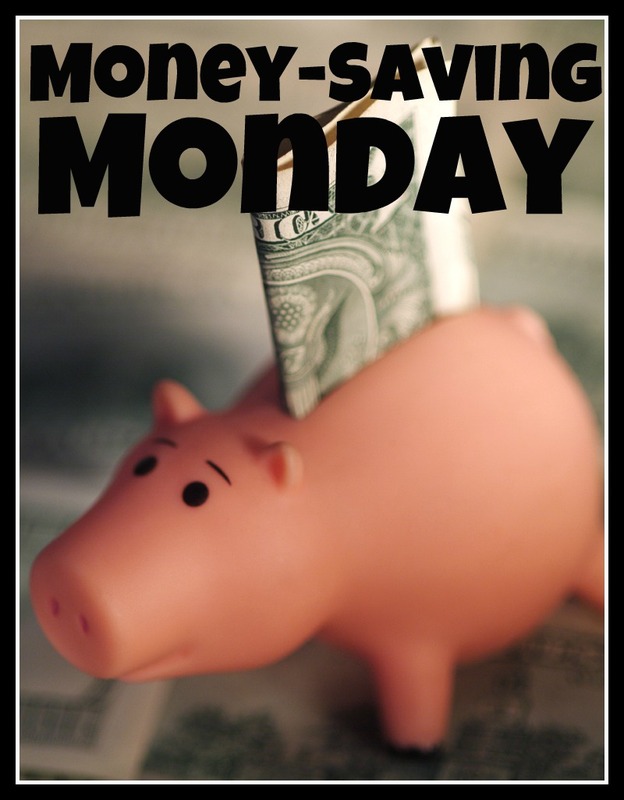 It's Monday again and time for Money-Saving Monday tip #23! 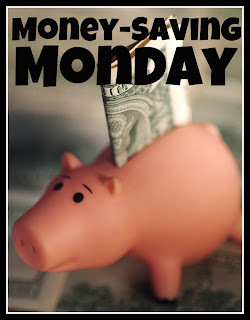 Today's tips come from my sweet friends Becky and AJ. Did you know that you can use Cricut mats in your Silhouette Cameo? I did, but I couldn't quite get everything to line up and cut just right. It didn't take too long after I got my Silhouette Cameo to completely wear out the cutting mat that came with it. I started using an old Cricut mat I had, but the cutting area seemed off from what it was showing on my computer screen. No biggie unless I was trying to fit something in a tight area, and then I would miss the mark every time and waste the paper I was using. I found a couple of things that helped with this problem, and now the Cameo cuts like a champ again. 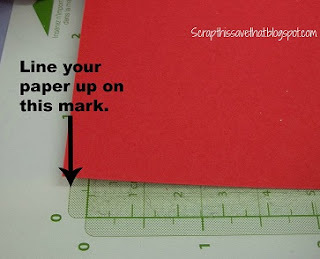 The first thing to do is to adjust where you line up your paper on your cutting mat. 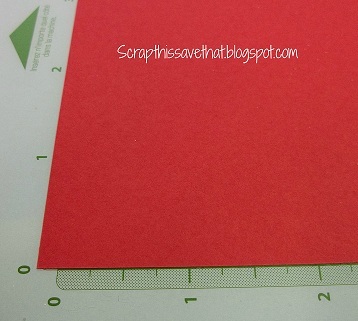 Instead of using the regular Cricut lines, move the top of your paper up to the guideline at the very top of the mat, where it shows the tick marks for measurements. See the photo above. 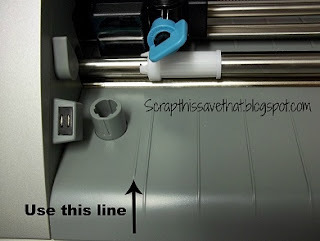 Edit: Click HERE to see how to line up your paper in the newer style Cricut Mats! This is actually where you're supposed to line up anything that goes into the Cameo...mats or vinyl. I never even noticed that little line until Becky pointed it out to me! Since I've learned and implemented these two tricks, I haven't lost a single piece of paper to a bad cut!! I have plenty of cricut mats... now if I only had a cameo! lol... Hey Amy... you won my blog candy... email me with your addy at kathibc at yahoo dot com and I will mail it out! Amy, My cricut mat has slightly different markings it has a thick black outline all around it and the zeros are different. Any suggestions for this mat as I can't line it up either. Amy, I have a brand new cameo but new mats left from my cricut. But, I keep reading on the FB groups that the cricut mats over time will raise your rollers on the cameo because the cricut mat is thicker than the cameo mat. I also read that Silhouette won't honor fixing the rollers because the wrong mats were used.Now I'm scared to try. What do you think? Hi Amy, I would love to know the answer to Ellen's question too. I have the same mats as her. What a great tutorial! Thanks for posting this. Looking forward to trying it out. 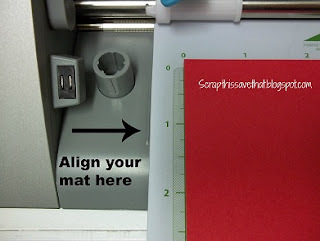 you can lay the cameo mat over the cricut mat. Line up the inch marks. Then draw a trim line along the left side and the top of the cricut using the edge of the cameo as a guide. Now use a straight edge and a sharp utility knife and trim the cricut mat to size.